A Quartet from the Music of Angel Fire Visits! We listened to amazing music! Chris Pieper Visits for Storytelling and Nitrogen Ice Cream! Chris is an amazing storyteller and makes the best nitrogen ice cream! Chalk Art with Ourselves in the Picture! Pizza, horses, galaxies, the earth, sharks, helicopters, swings, and minions! First Day of Third Grade 2018 - Human Scavenger Hunt! Each child had a checklist and job to get to know one another more. They had to look for someone who "ate toast for breakfast," "was born in another state," "is an only child," etc. Natalia's Baby Lambs at School! for a couple of weeks during the day. Natalia is teaching 3rd grade about them. Mrs. Nikki Teaches Us Cooking and Fractions! The 7 Habits of Highly Effective Students! with support from the 5th grade students. Patsy has an extensive variety of experiences in education. She has taught preschool through college students and has conducted numerous professional development sessions for teachers. Her undergraduate degree is in Elementary and Special Education. She has a Master’s degree in Child and Family Development and a Doctorate in Teacher Education, Early Childhood Education, and Educational Technology. She was a tenured Associate Professor in Teacher Education at Benedictine University in the Chicago area. 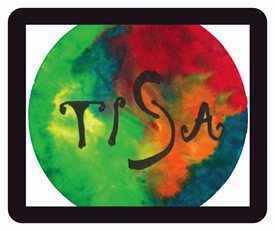 Patsy is very excited to be a member of TISA, where arts are integrated into the curriculum. Her recent return to classroom teaching has resurfaced her passion for working with young people.